I love to travel. I love seeing new things, learning new cultures, and just experiencing life from a different perspective. I have had the opportunity to travel to a few countries in the last few years and it has only increased my love for it. In a perfect world I would win the lottery and just see the world! A girl can dream right? So lets talk about the elephant in the room, traveling to Mexico. Is it safe? We went a few weeks ago and had many friends question why would we ever want to travel there. Well for starters the country is beautiful but it does have a bad reputation. I lived in Mexico as a child and I have very fond memories of my time there. We go back and visit but now I am more cautious of my surroundings. I can fully understand why someone that isn't Mexican would be scared to travel to my native country. I can understand the fear of traveling to Mexico because of the drug cartels. I see the news and I read the stories of how crazy it has gotten. Unfortunately the cartels are out there and in some parts of Mexico they have taken over cities. So in turn, the violence and crime has gone up making certain parts of the country unsafe. But this is just certain parts of the country. The Mexican government dedicates many resources to protect tourists at the major destinations. Luckily according to the U.S. Department of State, there is no evidence that organized cartels have targeted U.S. visitors based on their nationality. Resort areas and tourist destinations in Mexico generally do not see the levels of drug-related violence and crime that are reported in the border region or in areas along major trafficking routes like Sinaloa and Michoacan. Here is a helpful link from the U.S. Department of State for more information: Mexico Travel Warning. Now as for the Zika Virus, honestly I don't think there is any country that isn't safe from it now (which is kind of scary). Even here in the United States there have been cases about people contracting the virus and one known death. So little is known about it since it is so new but we have already seen babies born with birth defects. The CDC recommends avoiding mosquito bites as much as possible and to check travel notices prior to traveling abroad. If you are pregnant or trying to get pregnant then traveling to a country where the virus is rampant should be avoided. Mexico is still considered a third world country but it is so rich in many other ways. The country has a vibrant history, beautiful beaches, and many historical landmarks. Yes, I may be biased since I am Mexican but I honestly believe that visiting Mexico should NOT be avoided. If you stick to the main tourist destinations and read the recommendations from the U.S. Department of State then your visit should be an enjoyable one. Remember Mexico thrives on tourism so the government will try to make your stay as safe as possible. Another way to stay safe is by registering your travel plans with the U.S. Embassy through the Smart Traveler Enrollment Program. 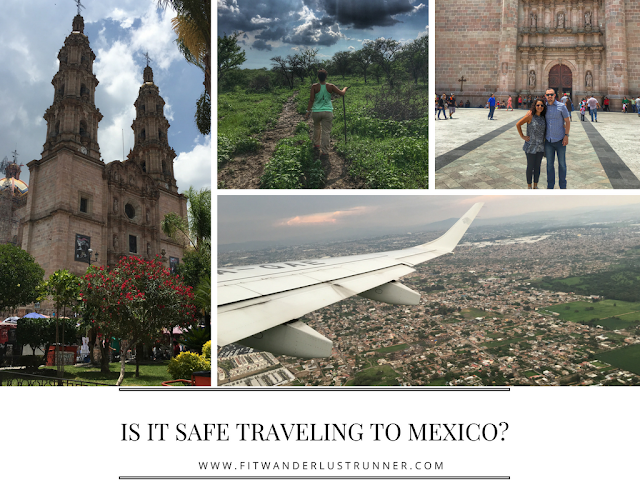 Moral of the story is traveling to any country can be scary but if precautions are done then touring a new country, like Mexico, can be a very memorable experience. So I guess what I am trying to say is, time to get your passport and see the world!